Whether you’re planning a luncheon meeting for 10, a wedding for 200 or a company picnic for 2,000, the Blazin BBQ Chefs will prepare a feast that will have your guests raving! Get a few folks together for whatever reason, serve up some good Blazin BBQ, and just try not to call it a party. Please review our BBQ menu below to find several items that interest you. We will be happy to prepare a detailed proposal for you based upon the selections you make. Our prices may vary (higher & lower) depending on several factors including group size, location, and date. Tossed Garden Salad with Ranch & Italian Dressings, Three Cheese Macaroni & Cheese, Barbecue Baked Beans, Parmesan Garlic Rolls, and Fresh Tomato Salsa. 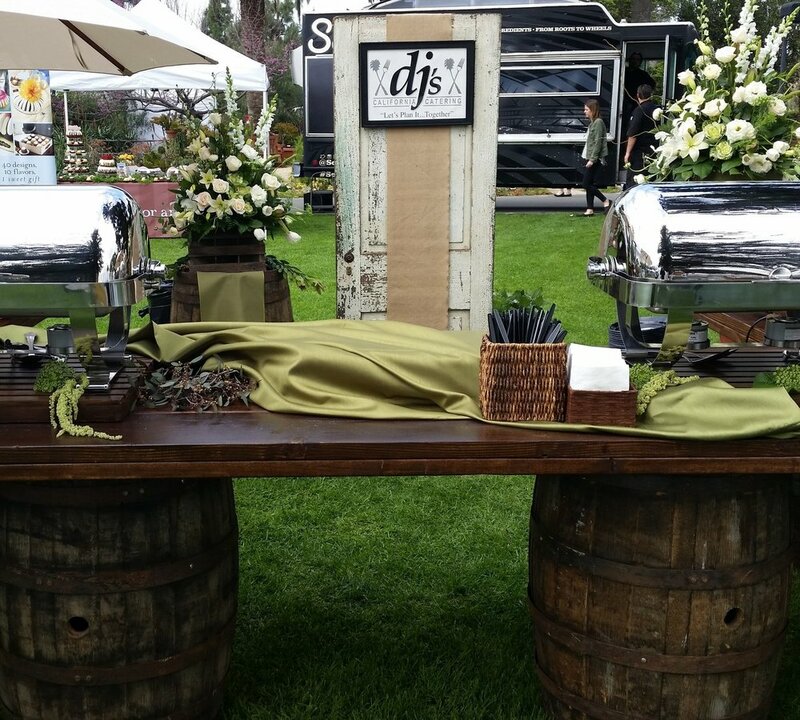 DJ's California Catering offers a variety of service options for your barbecue party. For smaller groups, we offer a convenient drop off service. In addition, you may choose to have a server stay to assist in the service of your buffet. OR For the ultimate in service, we will bring our Mesquite wood burning grill and FIRE IT UP!